Lot Detail - Old Tom Morris World Golf Hall Of Fame .999 Fine Silver Medal - 1 oz. Old Tom Morris World Golf Hall Of Fame .999 Fine Silver Medal - 1 oz. 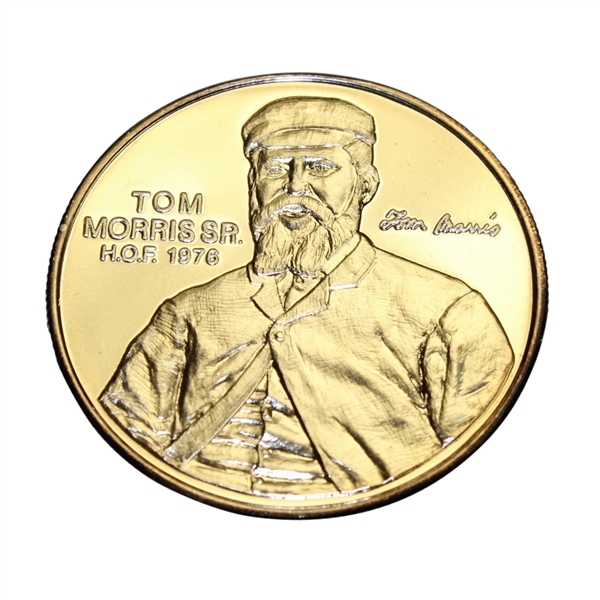 Tom Morris, affectionately known as 'Old Tom', was a 19th century pioneer of golf. The British Open winner, club maker, green-keeper, and course designer was perhaps the most influential figure in the history of golf. Allan Robertson taught Tom the golf trade, from making feathery golf balls to clubs. After leaving St. Andrews in 1851 to his new position at Prestwick Golf Club, he eventually returned in 1865. With the new skills learned at Prestwick, Tom went about rejuvenating St Andrews by establishing separate tee boxes on each hole, widening the fairways, enlarging the greens and building two new ones and actively managing the hazards. Tom introduced many of the course design ideas that are the blue print for today's modern designers, creating the 18 hole course (St Andrews had originally 22 holes) and having each nine holes return to the club house. 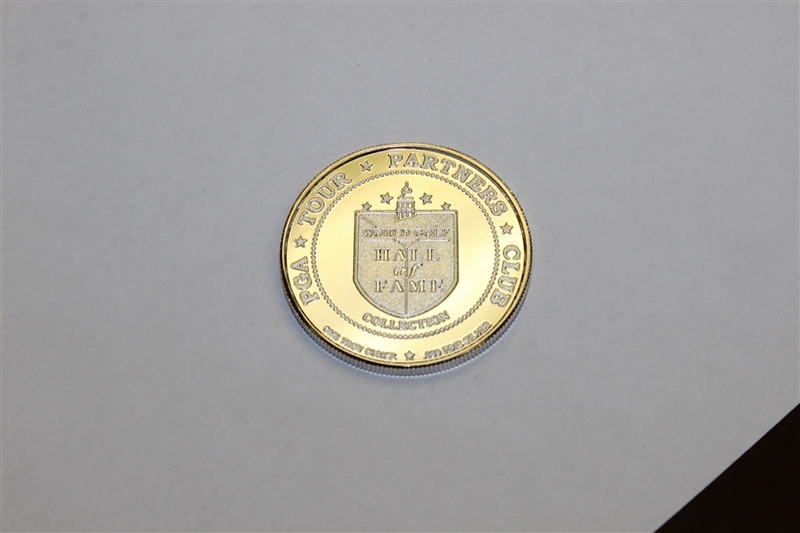 This lot features a commemorative Golf Hall of Fame Medal that was from the year Morris was inducted. Measures 1 1/2" in diameter.